Yoko Taro has always been a stand out game developer, making countless titles that tell highly sophisticated and mature stories that are always unfortunately burdened with lackluster gameplay. 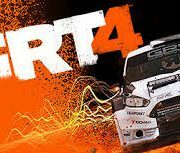 These games have always had a cult following but have never managed to properly catch the attention of the mainstream eye. But Taro never lost hope, and after years of work and a partnership with Platinum games, we have been blessed with Nier: Automata, one of the finest games of this generation. 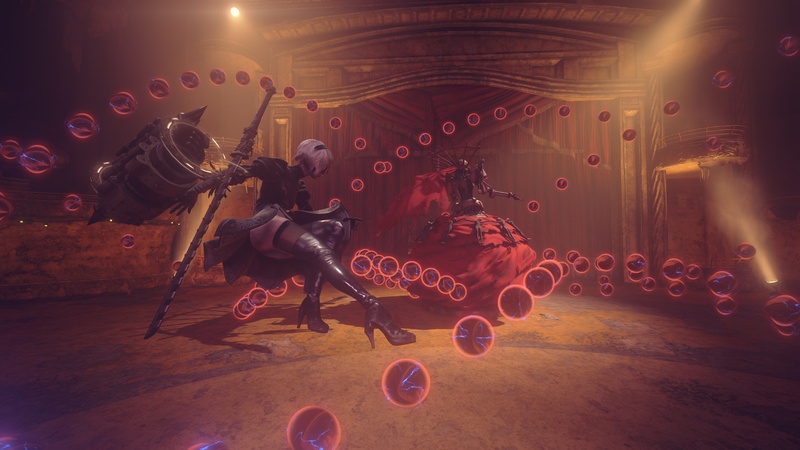 Taking place in the far future following the 4th machine war, Automata follows the ragtag duo of androids named 2B and 9S. The androids have been sent from the moon by the remnants of humanity to take back the earth from its alien invaders, all in hopes of making the planet hospitable once again. The games plot sounds completely nonsensical when you see written down. “Androids from the moon fighting alien robots?” you might be thinking to yourself. But stay with it. You can only really give a short outline when it comes to Yoko Taro games, as delving any further can quickly result in going into massive spoiler territory. But the story is fantastic once it gets going, being one of the more stand out stories in his “Taro-verse”. The biggest draw to his games stories he writes that play with the concepts of heroism, narcissism, pride, logic and most of all, identity. And while Automata doesn’t reach the same level of greatness the original Nier did, it still stands out as one of his best yet. 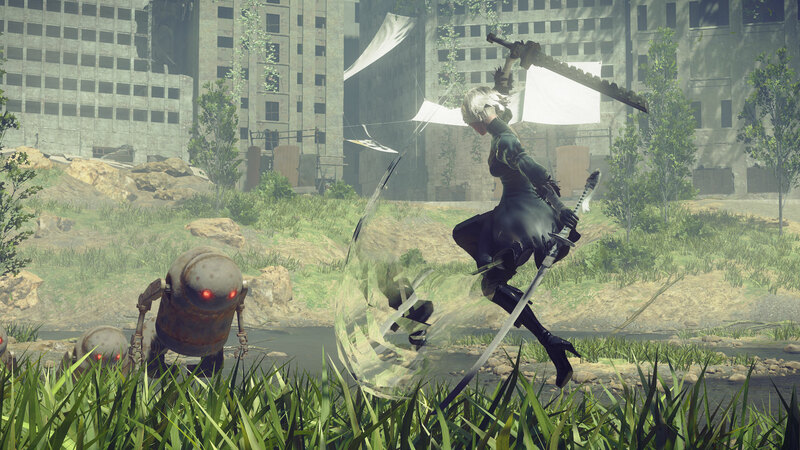 However, the big surprise of Automata is the gameplay. 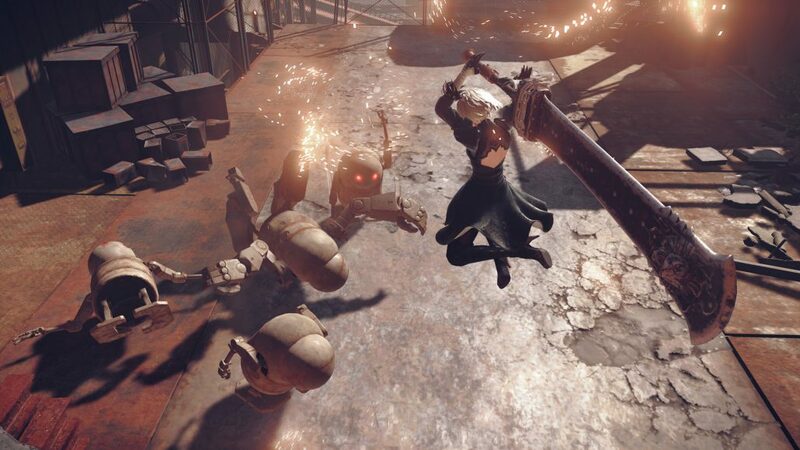 Being made in partnership with Platinum games, Automata feels like a nice evolution of the original Nier’s gameplay with bits of Bayonetta splashed in to keep things fresh. 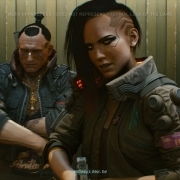 (AKA this games version of Grimoire Weiss), but quickly allows you to install gameplay modifiers in the androids’ circuitry to make things more entertaining. It won’t be long before you have the ability to air juggle while time is frozen, all the while you’re raining a hellfire of bombs down on your enemies. The game constantly introduces new mechanics to make sure the combat never gets stale. You can be 15 hours in when suddenly the game offers a new way to fight and it completely changes all strategy you originally had. Or you could just get the bomb power up, combine it with the ability to heal with every kill and basically win the entire game. The choice is yours. 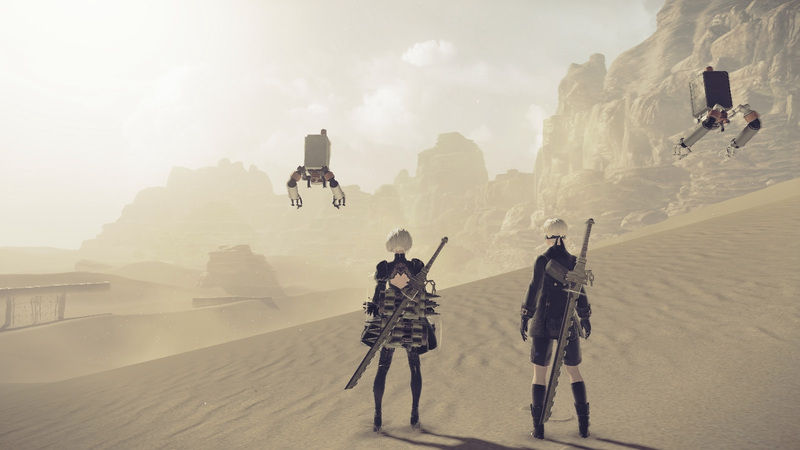 Automata also keeps true to Nier’s love of changing up the game formula. 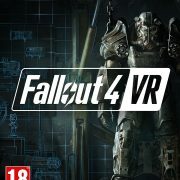 While the majority of the game takes place in a large 3D open world, there are times when the games perspective will seamlessly shift into 2D and all mechanics will change to accommodate this. 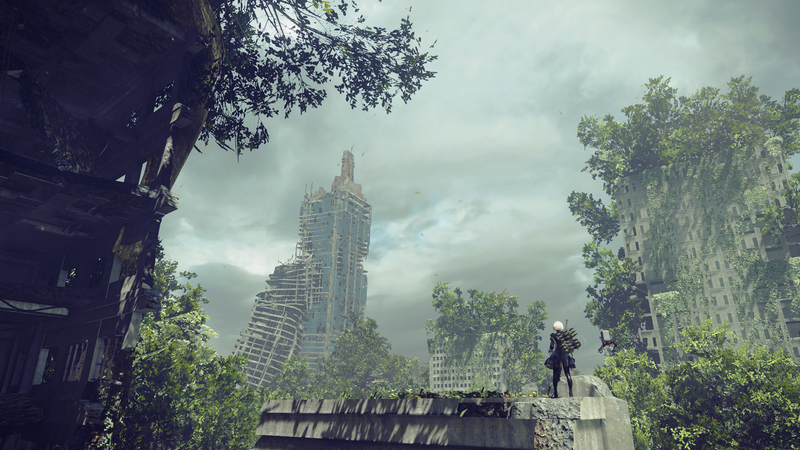 The smooth transition means that you never feel like the game is awkwardly forcing this perspective change on you like it sometimes did in the original Nier, and instead makes you feel like it’s just another part of this strange worlds weird rules. It makes the world feel more alive with a simple change of perspective. The game also introduces bullet hell sequences where you take control of a flying mech suit. These segments do a great job at breaking up the gameplay and are used just enough that they never get tedious or boring. They never get to the dastardly evil difficulty levels of Ikaruga, but they give enough challenge to keep you engaged for their duration. One key component that the game keeps from the original is the atmosphere and musical score. Keiichi Okabe and Keigo Hoashi have done an incredible job capturing a subtle robotic tone that creates an eerily haunting atmosphere throughout the game. Singer Emi Evans returns to provide her angelic vocals to the game, helping ascend the games soundtrack to god-tier levels of excellence. 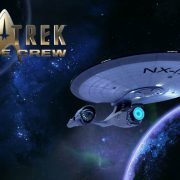 Even if you have zero interest in the game itself, find a way to listen to the incredible soundtrack, especially the song “Weight of the World”. 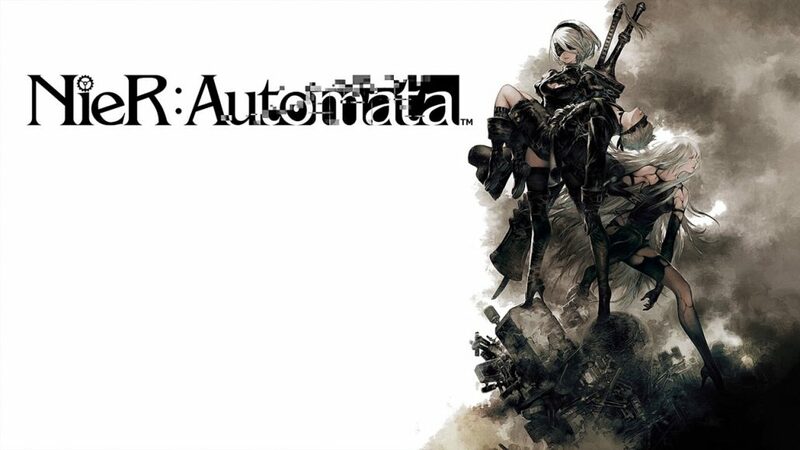 However, while Automata is near perfection, there are a few blemishes that hinder it from greatness. A big issue that Automata fails to handle is backtracking. The game features a large amount of running about to previously visited areas, and while the game introduces a quick travel option around half way through, there’s enough backtracking at the start of the game to put players off. 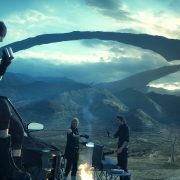 Other issue lie with the games presentation. The game has a lot of pop in coming from the environment, and there are times when things just won’t load (weapons not changing to the correct model, characters not rendering properly etc). Taro also clearly has zero interest in lip sync in his games, as once again characters’ mouths are wildly different to the English dub. He also clearly likes to cut corners, having characters’ mouths not move while in game. Then again, this is Yoko Taro we’re taking about! The mans a cross between a lunatic and a genius. All the games faults could be purposely put there to remind people that it’s only a game, or could all be a metaphor that things don’t always go smoothly in life. You can never tell with Yoko Taro. But one thing is for sure, Nier Automata is by far one of the most refined and well executed games in recent years. Every time you think you’ve seen everything and finally get what’s going on, the game throws a curveball and suddenly you’re back questioning everything, but loving all at the same. Just make sure to play through the game multiple times, as for like in all Taro games, each playthrough is widely different to the last.